A cracking day of racing ahead! I write the blog slightly hungover after a celebratory curry and few beers last night. The celebration – half term! Its going to be a cracker too as we're taking our girls to EuroDisney tomorrow and they don't know yet! I'm hoping a few of the selections come in to line the wallet ready for the trip! This time last year I napped OPENING BATSMAN to win the big race at Kempton and I think I've found the winner today! Hopefully my dad and I can keep the profit going! I need to do much better than last week! BAILE ANRAI 1550 KEMPTON (nap) – really caught my eye when running a cracker behind The Rainbow Hunter last time on heavy at Doncaster. Has always had bits of decent form and I think the slightly better ground will help too. I think he's got a cracking chance today. GREY GOLD 1505 CHEPSTOW (nb) – was really impressive how he stuck on and won at Sandown last time. Lots to like about that, he jumps soundly and will relish the conditions again. SMOKING ACES 1455 NEWCASTLE (treble) – is a thorough stayer and will need to be today. Plugged on well in behind Emperor's Choice last time and Maurice Linnehan's claim will aid further in this marathon trip! SWNYMOR 1430 CHEPSTOW – I've always liked this horse and he ran much better last time after a decent spin on the flat the time before. If he reproduces his best form he will win this. This race is the best chance he's had of getting his nose infront for a while. When will this weather stop! Incredibly we still have racing and class racing too! Testament to the money invested in making courses better and the hard work of all the staff at the courses. I hope its as wet as this for the Grand National for my ante-post bet TIDAL BAY, I've got 25-1 for him and after the weights and the handicapper giving him a real chance by dropping him 7lbs in the official ratings, I really think the race will suit him and what a way to go out! On to today, some cracking races and I've opted for value and the more challenging races to try and get some good prices, hopefully I'll beat my old man too. Quietly confident with my nap on todays ground too! Good luck if you're having a flutter! I'm at my daughters party this afternoon with screaming kids followed by a sleepover! God help me! MOLLY'S A DIVA 1355 WINCANTON (NAP) – (unplaced = -£5.00) she was impressive in bumpers last year particularly on heavy ground, this invcluded a defeat of CAROLE'S SPIRIT, who is now rated 24lbs higher in the ratings after some fluid hurdle successes. My selection ran poorly last time behind a couple of these at Exeter in December. However, a dead heat success at Warwick will have boosted the confidence and this bottomless ground will certainly bring out the improvement needed to win this. She is a classy horse and for me will be rated much higher than this in the future. TEAFORTHREE 1440 ASCOT (NB) – (2nd – 5-1 = £3.13) has been dropped 4lbs in the official ratings for a less than impressive run in the Welsh National. Thats gives him a real sniff. He is also now 2lbs lower than his National third last year. This is shorter but a perfect prep race as it will feel like 4 miles based on the ground. 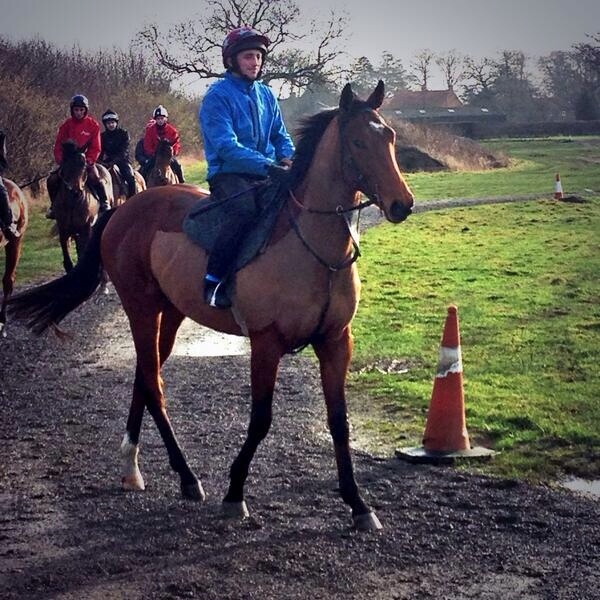 Noel Fehily on board is a massive plus too. ROLLING ACES 1550 ASCOT (TREBLE) – (unplaced = -£5.00) Captain Chris is the obvious choice on form and on his better terms with Riverside Theatre, however, at the prices I'm opting for this one. The last run was disappointing as he couldn't give 4lbs in weight to Vino Griego but did have Harry Topper behind. People are dismissing his chances on that, but delve into the form! After a narrow defeat in a top handicap behind Opening Batsman he then went to Down Royal in a Grade 2 and defeated Toner D'Oudaries and Texas Jack. The former had previously defeated First Lieutenant and had also finished 2nd twice to Arvika Ligeonniere. That is smart form and I don't think he should be written off! ACROSS THE BAY 1455 HAYDOCK – (FELL = -£5.00) horses for courses! This guy has two wins here, both on heavy!he won the Rendelsham this time last year too. Emperor's Choice was impressive last time and is 5lb well in but he ran like a pig here last time. My selection will relish the ground, will stay and enjoys this most testing of courses. This will be a right slog but despite his weight I think he has what it takes today! I also like the look of MICKIE 1420 HAYDOCK (2nd – 5-1) who gets alot of weight off CELESTIAL HALO which on ground Mickie loves could be too much! I also think ANTON CHIGURGH 1645 WINCANTON (unplaced) can win and for me MELODIC RENDEZVOUS 1535 WINCANTON (WON – evens) will get the better of Zarkandar. I thought I would do a little Sunday blog in homeage to my favourite horse, Tidal Bay. Today sees him returning to the venue of one of his greatest performances. He's teaming up with Ruby again and going up against the horse he pipped in the Lexus. It should be a cracking race and the ground will count in his favour. I have got 3-1 for him this morning, I think he'll go off favourite. 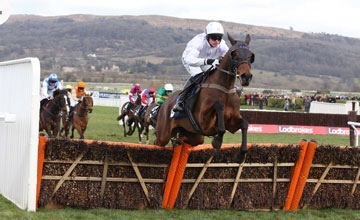 This is his penultimate run, his swansong will be at Aintree where I've got a little ante-post bet on him. Whatever happens today I'll enjoy watching him run as I always do and keep my fingers crossed for a wet Aintree. 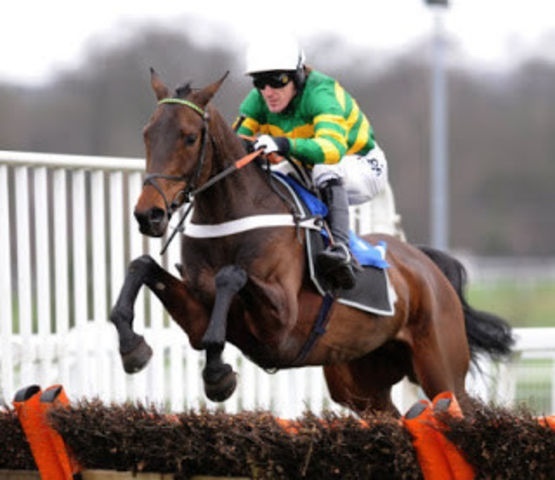 TIDAL BAY 1550 LEOPARDSTOWN (nap) – back to Grade 1 level but he has shown he can hack it. Ruby back up which for me is key as he rides this track so well. The weather will have helped him too. I just think this will be set up for him over the final fence and run in and he is the best horse for me. 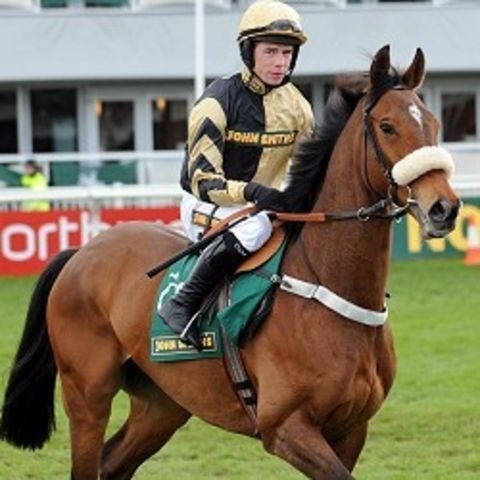 FINGAL BAY 1455 EXETER (nb) – (WON – 9-2) he is a class horse and despite his 14 months off he will win. He has a good record first time out and I just hope the injury hasn't taken any of his ability away. BLACKLOUGH 1515 LEOPARDSTOWN (treble) – (2nd – 5-1) has a chance on his decent run in the Boylesport, up just a pound in the ratings for that run and he could run a big race today. Only a short blog today as I'm short of time!last week was a decent week with my nap GREY GOLD (4-1) and my nb GRENDISAR (9-4) winning. Despite the heavens opening we are racing again today! Here are my selections below – hopefully throwing a winner or two up. FAR WEST 1535 NEWBURY (nap) – (FELL = -£5.00) was a top juvenile last year and handles the ground really well. Returned a bad scope last time behind MELODIC RENDEZVOUS and he would have been closer but for the stomach ulcers he had. If he is close to Melodic then he will be close here today. You generally need to have a bit in your locker and I think this guy has as I think he's better than his current mark. Harry's 5lb will really he,p in this ground as it did last week. AL FEROF 1425 NEWBURY (nb) – (2nd – 5-4 = £0.78) the ground could be getter for this boy but I still think he will take all the beating today and for me 13/8 is a huge price. He'll jump them into the ground and has more class thean any of these. He should win comfortably. DODGING BULLETS 1500 NEWBURY (treble) – (2nd – = £1.25) this finishes off my Nicholls treble and he has been a revelation over fences. He was decent over the smaller obstacles but has shown huge improvements in the sphere. It will be a battle with MODULE but he has a touch more ability for me. ANDY KELLY 1350 NEWBURY – (FELL = -£5.00) hardly had any racing compared to others. Will like the ground and has some decent form in the book, beating KILMURVY easily and then going down by a short margin at Ascot. Well this is certainly going to be a slog today! At least we've got some good racing to engage us though. The picture above is the horse our teamchoochoo syndicate has bought into! Cant wait to see him running later in the year! Will keep you all posted on this and when he's running! My dad is starting to panic after seeing me win four weeks on the bounce, although to be fair the last two weeks neither of us have shone! Lets hope we fair better today! If you're having a flutter today good luck. The festival is on the horizon folks!! GREY GOLD 1350 SANDOWN (nap) – (WON – 4-1 = £12.50) placed the last twice and has two wins on heavy in the form book. His form is solid this year running behind LANCETTO at Ascot and also behind CLOUDY TOO earlier on at Carlisle. 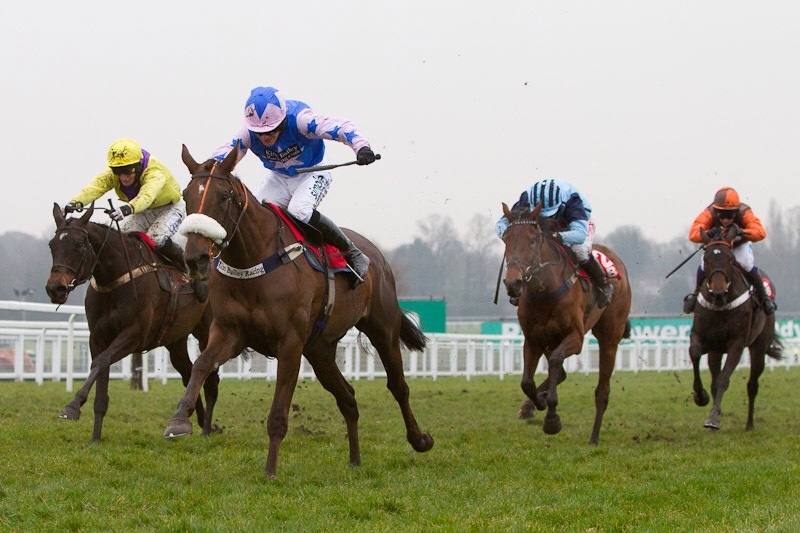 Delve further into his form and he defeated JOHNS SPIRIT over hurdles a few years ago too. He will relish the mud today and is a massive 8lbs in weight better off with DESERT CRY than his defeat by him last time, that will make it considerably closer today. ALFIE SPINNER 1440 FFOS LAS (treble) – (unplaced = -£5.00) ran very well last time out only finding the very impressive MENDIP EXPRESS too good for him. That was a real return to form. The ground today will be fine and he is given another chance off the same mark! ROALCO DES FARGES 1535 SANDOWN – (PU = -£5.00) off for nearly two years but was pretty decent before that. Started a revival at Newbury and had three solid runs before his lay off behind TEAFORTHREE, MASTER OVERSEER and was a distant second to TIDAL BAY here in similar conditions in the BET365 Gold Cup. Has been dropped three pounds in the ratings for that and I think he is a cracking bet despite his lay off. My dad has heard a positive whisper for BIG SHU tomorrow at PUNCHESTOWN – he'll probably be favourite but the vibes are he will win! As with all whispers take it as you will – its your risk!